When footballer Moses Odubajo's mother died of malaria, he and his brothers kept it a secret from authorities in London so that they wouldn't be split up. 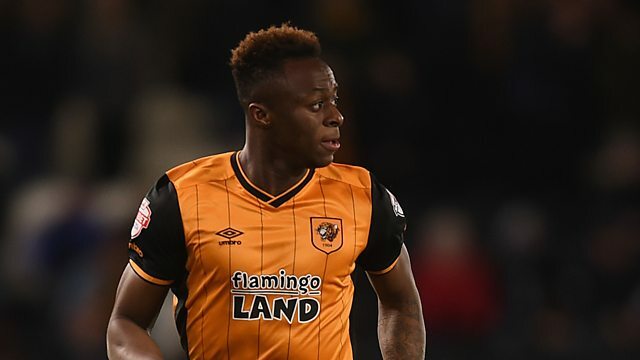 When footballer Moses Odubajo's mother died of malaria, he and his brothers kept it a secret from authorities in London so that they wouldn't be split up. He's now a top professional footballer. Refentse Morake is one of South Africa's biggest selling artists. But what's unusual about him is that he sings in Afrikaans, which for a long time was the language of the white ruling class, and it's highly unusual for a young black person to use it. Outlook's Mpho Lakaje went to meet him. American Coss Marte is a former drug dealer who has spent time in prison. When he got out, he set up a gym in New York which is staffed by other ex-convicts. Outlook's Colm Flynn went there to meet him. The Duluc Detective Agency is one of France's oldest and most famous. It's in Paris and it's currently run by Martine Baret, who's spent her life investigating the lives of others. Outlook's Emily Webb went to meet her to do a little bit of investigating of her own.